Chakra music to exalt the soul and caress the mind. Whether you are listening to chakra music or taken on a chakra guided meditation, these tools help to balance your energy system. 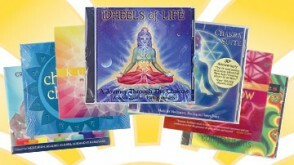 Each CD in this set has the power to energize the various chakras through its intensive yet beautiful sounds. 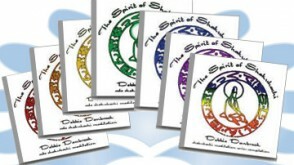 Hear the echoing sounds of these chakra-tuned chimes that will help to awaken a chakra centre on all levels! The fifth chakra, the Throat chakra, is referred to in Sanskrit as Vishudda that means "purity." The Throat chakra is depicted as a sixteen-petaled lotus flower and it resonates to the color blue. The Throat chakra governs our communication and self-expression. 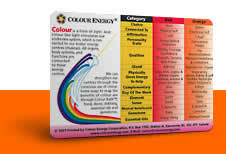 It is the energy center that stimulates holistic thought. The blue Throat chakra fills our mind with a godly consciousness-the voice of God-and universal inspiration and understanding. Without power in our Throat we lack the ability to speak our truth; however, with a strong Throat chakra we are sincere with ourselves, with others and with "God!" If we have disturbances in our Throat chakra it may affect our throat, voice, mouth, jaw, neck, shoulders and thyroid gland. Other problems may include obsessive compulsive disorders, trust issues or hormonal imbalances (such as mood swings, PMS, bloating and menopause). If you have any of these symptoms, it is time you boost your blue energy to give power to your Throat chakra!